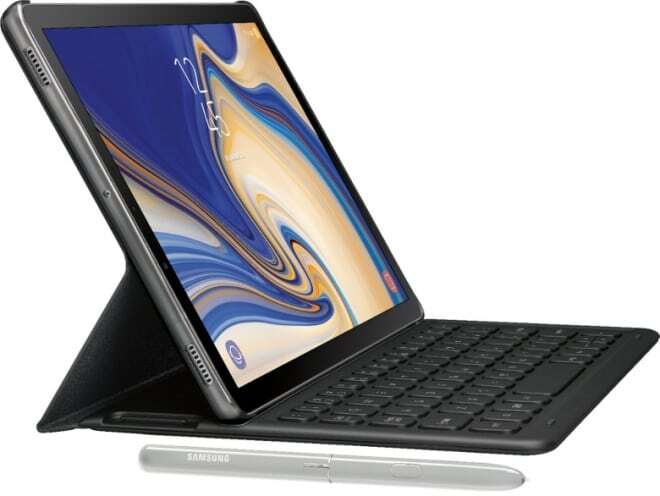 We’ve known for a while that Samsung has a high-end Galaxy Tab S4 in the pipeline (and suspected as much ever since the Tab S3 was unveiled way back in February 2017), but until today, we were missing the full picture in terms of specs and features. After a number of partial leaks, incomplete rumors and fragmentary benchmark information, said spec sheet may have just been revealed in full by the most trustworthy Samsung-centric blog out there. SamMobile can “exclusively confirm” the Galaxy Tab S4 will sport a slightly larger 10.5-inch screen than the Tab S3’s 9.7-incher, with an upgraded resolution of 2560 x 1600 pixels, and an aspect ratio revised from 4:3 to 16:10. Obviously, the now-ancient Snapdragon 820 processor is also due for an upgrade, although Samsung will apparently snub Qualcomm’s latest 845 flagship silicon in favor of the previous-generation Snapdragon 835. That’s going to be paired with a respectable but not exactly mind-blowing 4GB RAM and 64GB internal storage space, while Android 8.1 Oreo is unsurprisingly expected to run the software show out the box. Ports and connectivity options should include USB 3.1, Bluetooth 5.0, GPS and Wi-Fi 802.11 ac support, as well as presumably optional LTE speeds. As suspected, there will be no fingerprint recognition, but an iris scanner is tipped to bolster the new slate’s convenience and security. A 13MP rear-facing and 8MP front-facing camera, along with a souped-up 7,300mAh battery, AKG-tuned audio technology, and yes, DeX support round out the robust list of specifications of a tablet widely rumored to break cover at IFA Berlin in late August.